It was a couple of weeks ago when Paul and I were having a conversation about what we were meant to do with our life, our purpose, calling and my wrestling with my needing to find what I am meant to do at this season in my life. I am not one who can just live life without meaning and I think that’s how I have survived my life. Finding something more out of tragic events, mistakes, injustice, wrong turns and the horrific things that I have had happen in my life and some wrong turns. I always think that God can somehow use it and use me in turn so that helps me fight off the part of me that will wallow in self-pity and become overwhelmed with despair. So I am struggling with what I am gonna be now that I am grown up, kids all live far away and I can’t just go through a day without finding meaning or HOPE. Paul says to me “ what if your doing what your meant to do Doris?”. I busted into tears at the thought. Is he saying this is it? As if what I do is not important because there’s just he & I. I had a anxiety attack and in that moment just felt despair come over me. This is it, I thought to myself, just day to day living in four walls, doing laundry, washing dishes, cooking supper, grocery store, shopping, creating journal pages, collecting junk , talking to people on Facebook and dreaming? That’s it? Really ? Then Paul said to me and this was not the first time he said these exact words to me. He said “ My Purpose and my calling is to love and protect you that’s what I am meant to do, and it’s a pleasure”. My mind goes back to my journal scribble- prayer to God on a scrap piece of paper the night I sat in my car crying, alone and writing a prayer to God and begging him to sent me a Hero and a Champion- then just two days after my first meeting with Paul at the skating rink where we went as children we meet. I am sitting alone in my car crying. I write my prayer and go inside get on Facebook and shared pictures with Paul of his daughter and him that I took and the rest is a dream come true, a simple tear feeler prayer answered. From our second date until today almost 4 years later he has continued to be my hero and champion. He rescued me & I rescued him because God knew that we were the ones who could meet the needs of the other. A girl holding tightly to Hope Not Wasted and fighting off despair and a guy who was ready to have a someone see him for who he really was and respect him. He has a wonderful career and I follow him eagerly as we go from project to project and know that our home is where we are together and I am accepting of that and do not mind it much. I am a tad spoiled and he says it to me all the time, his girl gets what she wants. What does she really want is the question? Do not get me wrong … My relationship with God is first and Paul is second and it may look like its out of order but trust me God is in my heart and he guides me daily but there are moments where I can get out of line. If my children were home they would be next and everything else after that. My children are grown and I raised them to have independent lives and they are doing what young adults do. So what’s next for me? Dreaming with my eyes wide open and resting in the fact that if my only purpose is to love my God, love and adore my husband and Facebook with my friends, pray, encourage others as I go through life then I am just fine with that. I still feel deep inside there’s more … She’s 46 and she believes she can share the Hope she found in her hopeless place and help someone else. So is she a just a wife, mother, writer, artist, decorator, friend, prayer warrior, encourager, treasurer hunter, thrift shopper, and all around goof ball who’s often misunderstood and is a emotional girl and loves Jesus with her whole heart well she’s ok with it. Are you feeling like there’s a dream in you? Are you like me & wrestling with a dream that’s not clear? In 2015 let’s be brave enough to move towards those dreams together because I think together we can see them come true! Dreaming with my eyes wide open! Hope in Christ and your Hope will Not be Wasted. 2014 was a great year for me as far as healing goes and gaining strength inside from being broken and wounded and having Jesus apply His super healing super glue on my broken places. I began last January to seek out old dreams and I began to discover what I was meant to do. So I started with Nashville at the end of January, after raising my hand and saying Yes I would love to join Karen Kingsbury as she films The Family of Jesus with just a few other women. This was after going to Austin 6 months prior and joining Jennie Allen and her filming of Restless. I was getting my grove back and being brave enough to think just maybe God could use this girl again! A girl who walked with Him and trusted Him and yet messed up by divorcing after 18 years of marriage only to marry someone to fast who nearly broke what was left of her fragile spirit and heart. Failure, guilt, shame, rejection,fear,abandonment, humiliation and every feeling of despair was on my back and I carried it as far as I could and I decided in December 2010 that I could no longer carry it so I loaded my 2010 Ford Escape and drove off into a world that I just did not fit in, but I was not alone. God the father, Jesus the Son and the Holy Spirit the three in one was with me. It all got real for me and He was all I felt that I had. I was so broken that …. Back to the story of last year, so Nashville then I am brave enough to sign up for “She Speaks with Lysa Terkeust and Proverbs 31 ministries and schedule meeting with two publishers. In the stress of preparing I decide to attend a writers conference in Colorado in May to prepare, get my feet wet before I go to the big one! Long story Short I spent most of the time alone and did not really want to connect because that’s just where I was at the time but I had two meetings there with a editor, writer super hero kinda guy who actually is Hope & Humor and he’s a man with great wisdom and then I met with a author, speaker, writer, singer & awesome person who I did not know who actually helped me so much by extending my meeting because she loved me so much and we connected. I left there feeling I don’t know what because of a family situation that unfolded with a family member on the last night and extended out from may until July and I was not really as ready as I needed to be for July for meeting with Zondervan & Thomas Nelson or so I thought. Long story short it was a awesome conference but something still was not right with me & writing a book. Thomas Nelson wanted a proposal and I should have been excited to write it. 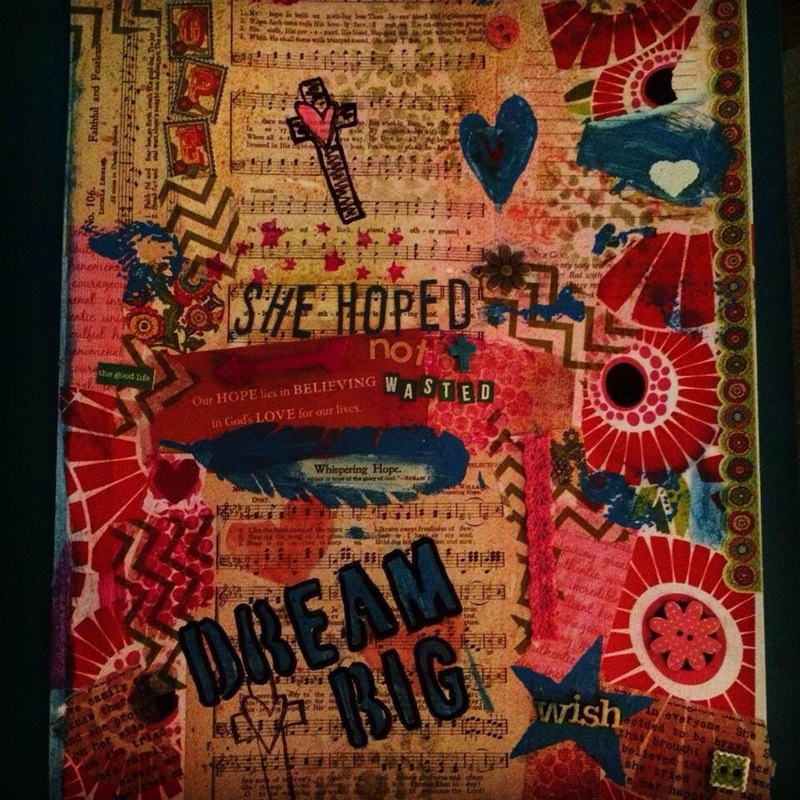 Secretly I have a hidden or not hidden attraction to art, scrapbooking, supplies and crafts. August I sell it all thousands of dollars for pennies to focus on writing and I feel alright with it. 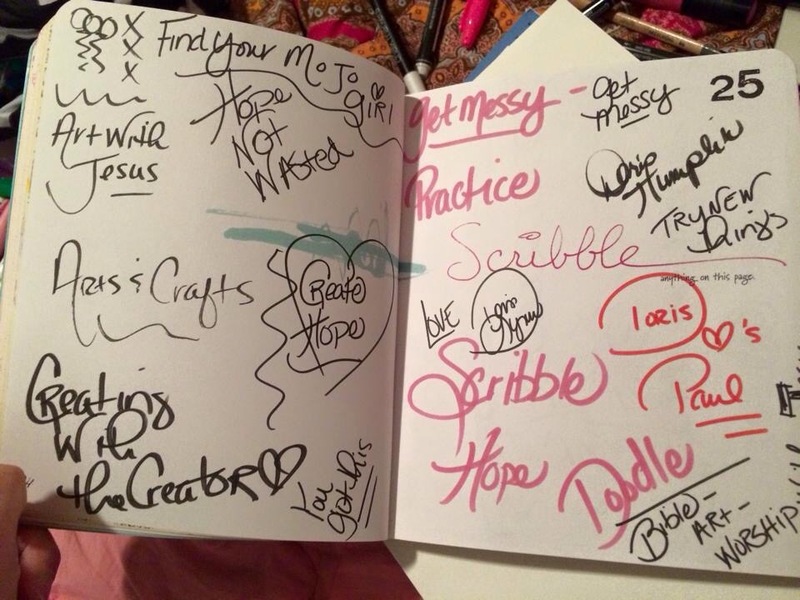 Then God places in my path Journaling bible group… I resisted the Fad I thought tossed it around and then joined the group, it has changed my life, dreams, passions and my whole prayer life and confidence. So guess who started buying crafts, creating and discovering who she really is and wow…. When you are doing what you are passionate about it truly is freedom, I have met so many great women, changed the direction of my dreams, pray more, love more, see people more, I am living my life in a way where I don’t care what the world says about me. I block out any guilt, shame or negative voices and I have let go of the past and when I look in the mirror I like what I see… Ok sometimes not so much but you know what I mean. I write with freedom although not as much on my own Facebook or blog as much as in my groups. With other like minded women who are just like me who give me the freedom to say what’s in my heart. They are surrounding my life and I am interacting with people who I never met but I am so connected to. In April I am flying to California to join some in a small retreat with oh my gosh real artists. Like the ones you see at Michael’s, Hobby Lobby and Joanne’s. They are the women who are the artists but I get to somehow take what I am meant to do and meet with them and retreat to create with the creator and I am very excited about it. This morning I realized that I am a writer, artist, creative decorator, I love paper and stickers,glue, paint, finding lost treasures and trash others toss aside, helping others, praying and HOPE but mostly the Creator is who I really Love and cannot live without! I am still on my path to finding out what Hope Not Wasted will become but I know I am on the edge of the cliff and I am ready to jump off into the Brave New World of Creating, writing and following the dream written in my heart by God… It’s all about him anyway…. What are you dreaming? What’s burning inside you? Ask God to come in and shine his light on the path he has for you to walk, that’s what I am gonna do. Writing my vision down after this post …. Write the vision and make it plain on tablets ….